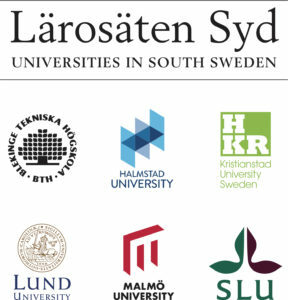 As of September 2018, Lärosäten Syd, the network of Universities in South Sweden, has an office in Brussels. The representation in the European capital is an effort to strengthen the connections of the regional research and innovation system in south Sweden with European partners. To mark this development, the vice chancellors of the six universities would like to invite you to the launch of our Brussels office on 7 December. How can we, as university networks, create impact both for universities as well as their surrounding regional ecosystems? How can we enhance the focus on global challenges within universities? How can we improve the preparedness for engagement in Horizon Europe? How can regional networks facilitate the development of European collaborative initiatives in the area of research and education? We are delighted to welcome you to join us for this policy seminar and a networking lunch to discover more about the research strengths of our universities. Lärosäten Syd brings together Blekinge Institute of Technology, Halmstad University, Kristianstad University, Lund University, Malmö University and the Swedish University of Agricultural Sciences.Lärosäten Syd is a collaboration that started in 2009 between the six southernmost universities in Sweden, and has developed in several areas of education, PhD programmes, research, administration and external engagement.These collaborations provide increased quality, better utilisation of resources and improved contacts with industry and society, benefiting students and universities as well as society at large.